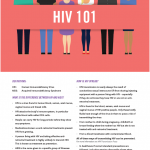 These fact sheets serve as a guide to help individuals find HIV answers and support. 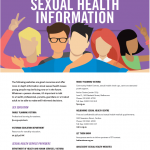 Please note that teachers, health professionals and individuals may download and print any of the fact sheets for their personal use. If the fact sheets are to be printed and distributed for training purposes then standard copyright rules apply. Reprinting of all or part of these fact sheets requires a written application for permission.